Budget 2018-19 – What does it hold for the Education Sector? Budget 2018-19 – What does it hold for the Education Sector? Budget 2018-19 – What does it hold for the Education Sector? 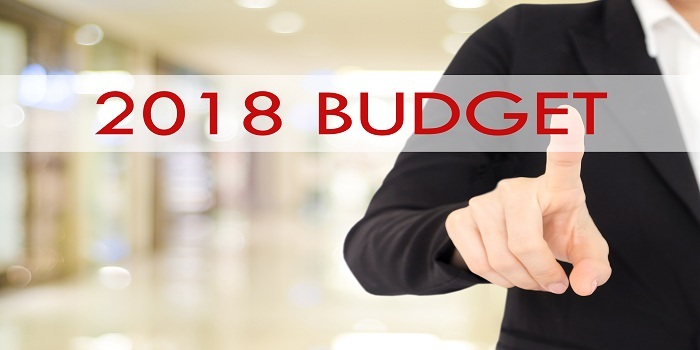 The Budget 2018-19 was presented in the parliament today - February 1 by the finance minister. Along with other key areas, education was one that found special mention in the finance minister’s plan. Careers360 has summarized all the key facts and points that were highlighted by the budget 2018-19 with regard to the education sector in this article. Along with the key notable points, we also bring the analysis and comparison of the budgetary allocation for education over the years in this article. MEDICINE LATEST - Union Budget 2018-19 proposes the creation of 24 new medical colleges. To read more, Click Here! Government proposes to treat education holistically without segmentation from pre-nursery to Class 12. An integrated B.Ed. programme will be initiated for teachers. The Right to Education Act was amended to enable more than 13 lakh untrained teachers to get trained. To provide best quality education to tribal children, Ekalavya Model Residential schools will be set up in every block with more than 50% ST population and at least 20,000 tribal persons. It will also provide training in sports and skill development by 2022. Government has received more than 100 applications for its initiative of setting up Institutes of Eminence. A Specialized Railway University is being set up at Vadodara. Two new full-fledged Schools of Planning and Architecture (SPA), to be selected on challenge mode. Additionally, 18 new SPAs would be established in the IITs and NITs as autonomous Schools, also on challenge mode. The Government would launch the ‘‘Prime Minister’s Research Fellows (PMRF)’’ Scheme this year. Under this, Government would identify 1,000 best B.Tech students each year from premier institutions and provide them facilities to do Ph.D in IITs and IISc, with a handsome fellowship. Govt. will be setting up 24 new Government Medical Colleges and Hospitals by upgrading existing district level hospitals. It will ensure that at least one medical college is present for three parliamentary constituencies, thereby leading to one college for each state. The Ministry of Human Resources Development has been allocated a budget of Rs. 85,010 crores for the year 2018-19 as against the original estimate of Rs. 79,682 crores and revised estimates of Rs. 81,868 crores for the year 2017-18 showing an increase of 3.8% over revised estimates of 2017-18. This amount includes allocation towards Department of School Education and Literacy of Rs. 50,000 crores and towards Department of Higher Education of Rs. 35,010 cr. Total revenue expenditure budgeted towards higher education during 2018-19 is 6.8% lesser than revised estimates for 2017-18. Total allocation to the education sector as a percentage of total budgeted expenditure for 2018-19 is 3.48% as compared to 3.69% as per the revised estimates for 2017-18.